Gratefulness… New Moon Inner Dance at LaZone last night. A process of knowing, being and doing. It’s a healing modality and a moving meditation. It is a question, an answer, a way to release blockages in the body. It is fluid and yet has no form. There are no rules. It can be static. It can be dynamic. Movement is optional. Your dance is your own; it will be whatever it needs to be. A process of knowing, doing and being. Inner Dance is a moving meditation coming from the Philippines. It’s principles, however, are universal: we are all energy, we are full of infinite possibility. Inner Dance can help us relax, remove physical and emotional blockages and understand our deep internal processes. No experience required. Movement optional. Kaz Castillo is a traveling yoga teacher and inner dance facilitator. Over the last year, she has been sharing ashtanga yoga and inner dance in the Philippines, Japan, Spain and Egypt. Having drunk from the Nile, she returns to Cairo this month to expand the inner dance experience in communities like Shanti Yoga in Heliopolis. Inner dance is never easy to explain. The lightness in the body. The cosmic party as you dance with yourself. Something, however little, however quiet, moves. I received an email today from a participant from last Thursday’s ID offering in Heliopolis (Shanti Yoga), who moved a little physically but felt a big shift within. He described the experience as moving, that the session was like a helpful push to restart a stalled vehicle. Sometimes we feel broken. Our environment, our culture, our own expectations play upon us. Our mechanisms get rusty or ill used. Imbalances occur. The body suffers. And we identify so much with our physical pains, our frayed nerves, our sad feelings. “So ham”, like “tat tvam asi”, means “I am That” — That which is unchanging, unlimited and eternal. What would our lives be like if we could identify with That, if we saw That in ourselves, in all our fellow human beings and co-habitors in this planet, how would we live our lives like then? How could we not honor and love ourselves and each other? Photo: Beautiful bronze. 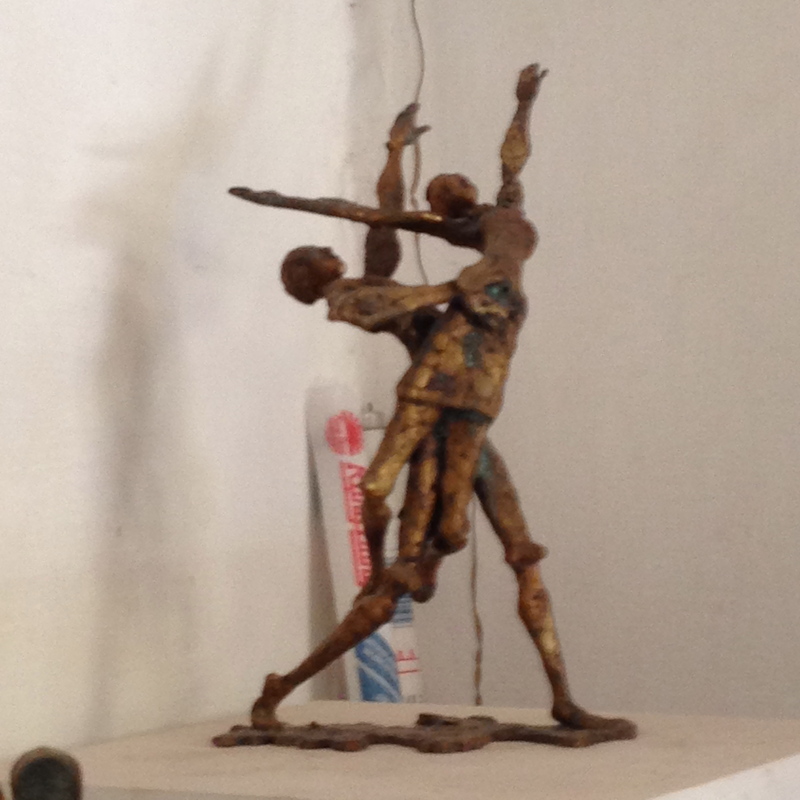 Sculpture by Nathan from Atelier de Nathan at Darb compound in Old Cairo.